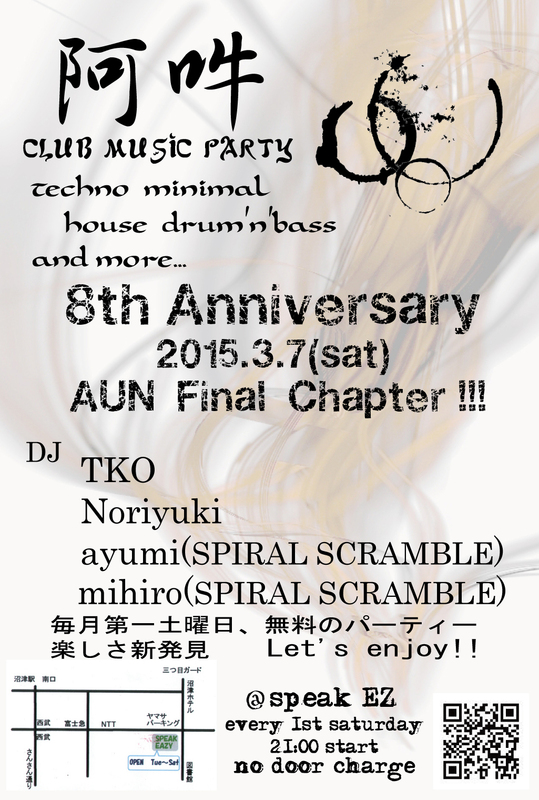 ．．．阿吽．．．ＣＬＵＢ　ＭＵＳＩＣ　ＰＡＲＴＹ．．． 2015．3.7　8th Anniversary 阿吽Final Chapter!!! 8th Anniversary 阿吽　Final Chapter!! !